Darkroom/Interscope Records artist Billie Eilish surprised fans today with an official video for her hit song you should see me in a crown. The video was created by legendary Japanese contemporary artist Takashi Murakami and is available worldwide via Apple Music now. Watch HERE. Mutual fans of each other’s work, Eilish and Murakami met in Japan during her tour in 2018. 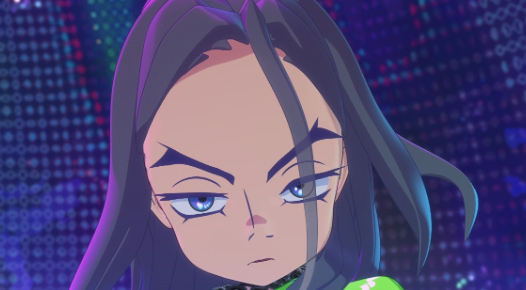 The pair have since collaborated on the cover of GARAGE Magazine’s Spring/Summer issue and have now released this incredible piece of anime, created using special motion capture technology and incorporates Billie’s popular BLOHSH character and apparel as well as Murakami’s iconic Flowers. Billie Eilish just completed her SOLD OUT tour across the U.K and Europe and will be making two highly anticipated performances at Coachella Festival next month, before embarking on her SOLD OUT North American tour in May. Starting in San Francisco on May 29, her WHEN WE ALL FALL ASLEEP WORLD TOUR commences with American rapper Denzel Curry joining as direct support with the exception of Vancouver, where Billie’s brother Finneas will be opening.